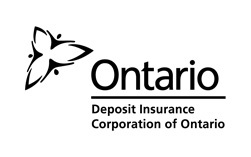 The Credit Unions and Caisses Populaires Act sets out DICO's objects, powers and duties as well as general terms for deposit insurance and other governing parameters. DICO functions within the legal framework established by the Act, Management Board of Cabinet Secretariat Directive on Agency Establishment and Accountability and other applicable laws. DICO is ultimately accountable to the Legislature through the Minister of Finance for the conduct of its affairs.